Inlay entirely recovers the inlay technique, an ancient and precious old time tradition. 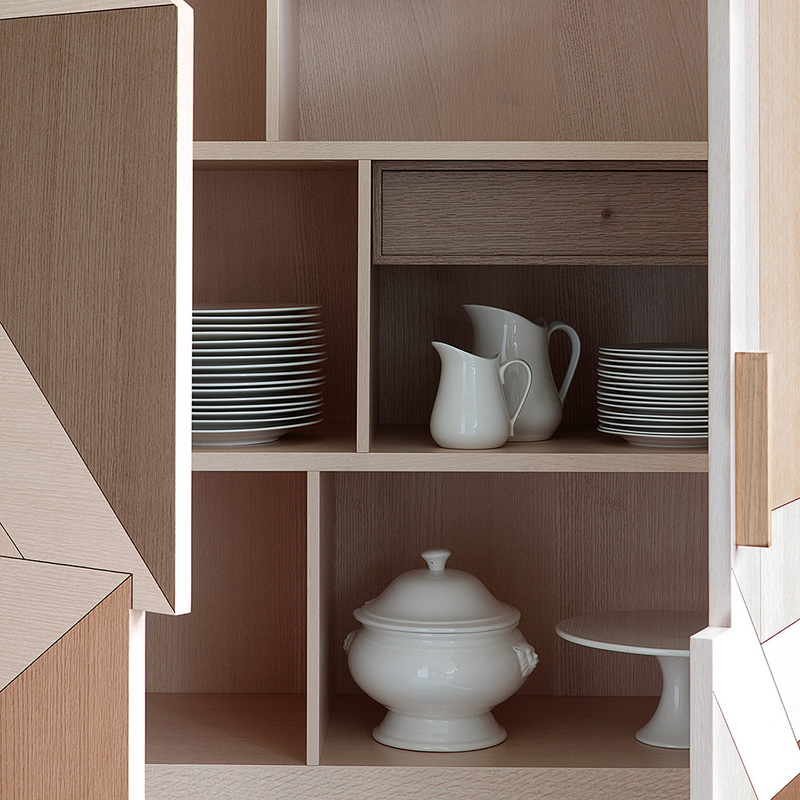 Inlay is the result of an accurate processing technique, with 4 different oak colours and a black profile: a contour line separating the different faces of the texture while defining the design. 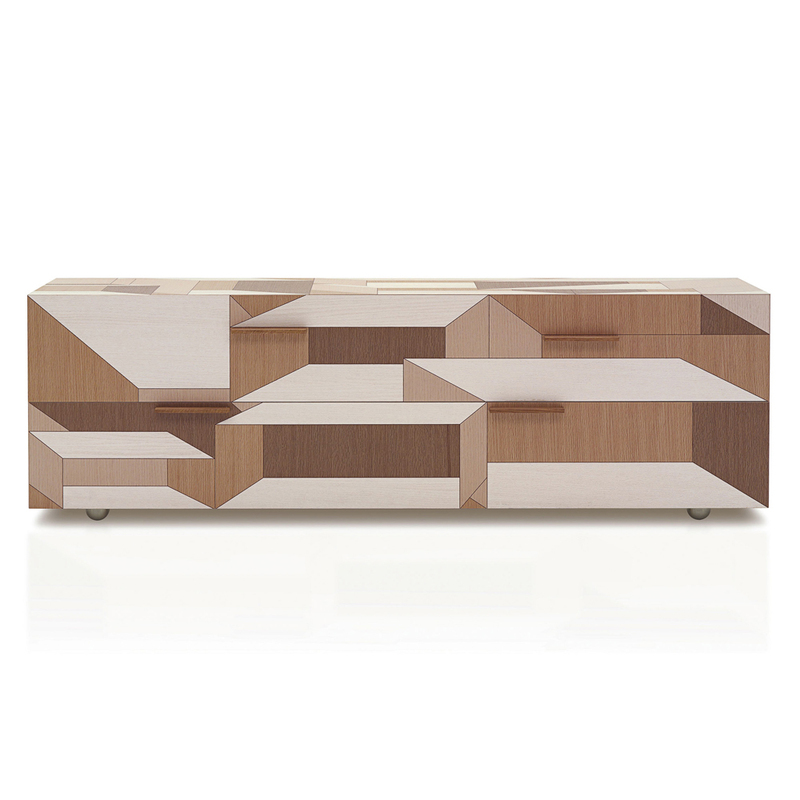 The sideboard exhibits a unique asymmetrical opening and it is internally fitted with simple shelves and separators. 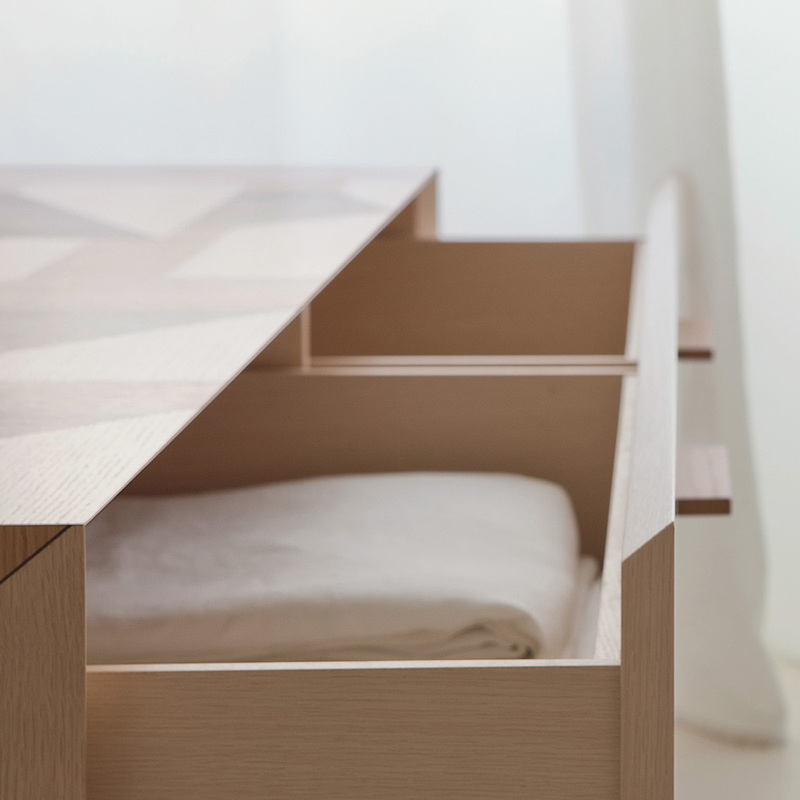 The chest of drawers exhibits 2 drawers, fitted with 2 internal trays and a single front. 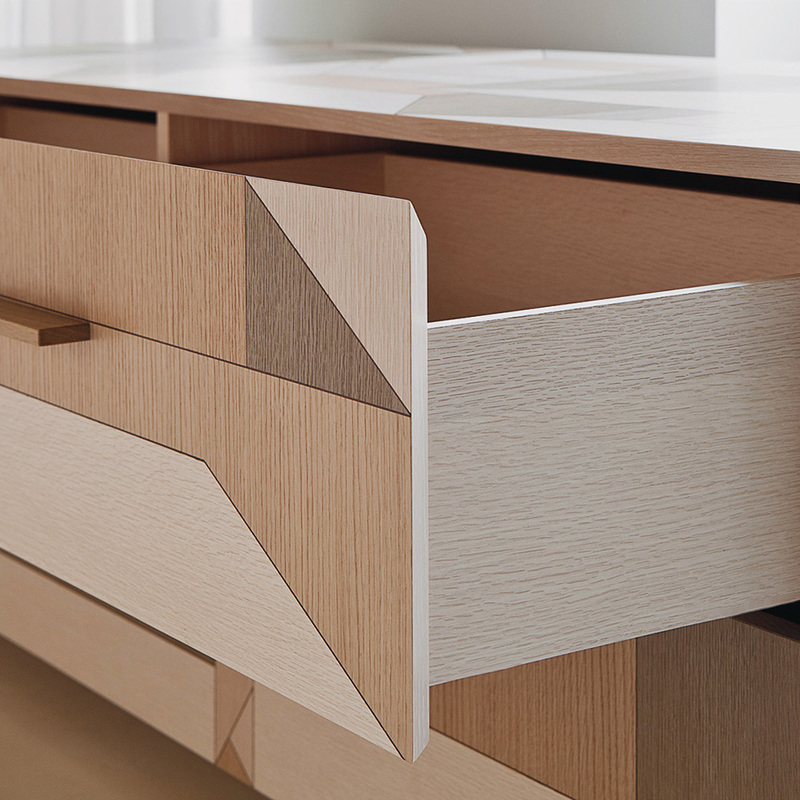 the interior of sideboard and chest of drawer is in natural oak.